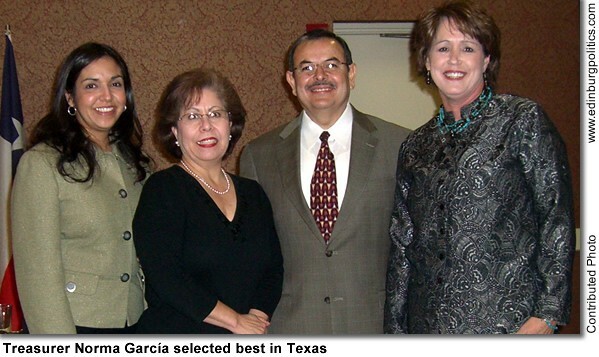 Hidalgo County Treasurer Norma G. García, featured second from left, has been named Texas County Treasurer for 2007 by her colleagues with the County Treasurers Association of Texas – the first time since 1971 that a local county treasurer has earned that prestigious honor. “Once again, Hidalgo County is recognized for outstanding leadership and performance in public service,” said García. “It is especially important for the public to have full confidence that their hard-earned tax funds are being taken care of at the highest standards and principles, which produce the most beneficial consequences to those whom I serve.” Featured with her during the award ceremony held in mid-October were: Kleberg County Treasurer Priscilla A. Cantú; García; Zapata County Treasurer Romeo Salinas; and Taylor County Treasurer Lesa Crosswhite, who also serves as CTAT president. See story later in this posting. Rep. Aaron Peña, D-Edinburg, focused on his legislative efforts on behalf of the youth in his district during his Thursday, November 8 campaign kick-off, held at the ECHO in Edinburg. Peña, who was born in Austin but grew up in Edinburg, reminded voters from the key Delta Area portion of his House District 40 of his deep roots in those communities. “My grandfather would never imagine what has happened to this community,” Peña fondly recalled his paternal grandfather, Baltazar Peña, who migrated from Mexico to the Edcouch-Elsa region. “Who would have imagined that we would move so quickly to have the sort of growth that we have here? That was done because of the dreams that they had, the dreams of a better future, the dreams of educating our kids. So, that has always been my commitment, as it is yours, that we invest in our kids.” Featured with Peña are, from left, back row: his wife, Mónica; daughter-in-law, Clarissa; granddaughter Addison; son Aaron Peña; daughter Adrienne Peña Garza; and in the front row: son Anthony; and granddaughter Chelsea Peña. The Edinburg lawmaker is facing a challenge from Eddie Sáenz, a civil engineer also from Edinburg, in the March 4, 2008 Democratic Party primary. See story later in this posting. Rep. Verónica Gonzáles, D-McAllen, whose House District 41 includes southwest Edinburg, on Thursday, November 8, helped welcome dignitaries to the campaign kick-off for her colleague, Rep. Aaron Peña, D-Edinburg. Gonzáles, along with Rep. Armando “Mando” Martínez, D-Weslaco, and Rep. Ryan Guillen, D-Rio Grande City, showed up at Peña’s event, even though Peña is facing a challenge from a fellow Democrat – Eddie Sáenz of Edinburg. Gonzáles will be having her own campaign kick-off on Tuesday, November 27, from 5:30 p.m. to 7:30 p.m. at the International Museum of Arts and Science, located at 1900 Nolana Avenue in McAllen. Gonzáles’ campaign kick-off, which is being underwritten by her law firm, Kittleman, Thomas & Gonzáles, LLP, is free and open to the public. For more information, residents may call her campaign at 212-8950. Gonzáles is facing at least one opponent so far – fellow McAllen lawyer Javier Villalobos, who is seeking the Republican Party nomination. Both parties will hold their primary elections on March 4, 2008. Judge Susan Criss, a Democratic candidate for Texas Supreme Court, Place 8, on Tuesday, November 13, launched an Internet fundraising effort to purchase television commercials designed to expose the Republican-dominated high court as being a tool for the wealthy and powerful. Criss, who has presided over some of the most famous trials in Texas in recent times, is seeking the March 4 Democratic Party primary nomination to challenge Phil Johnson, a Republican from Amarillo. Johnson was appointed to the state’s highest civil court by Gov. Rick Perry, a Republican, on March 15, 2005. Criss, a former prosecutor with almost a decade experience as district court judge, said the Texas Supreme Court, which is entirely Republican, has lost touch with the majority of Texans. “Texans want judges who can be fair to people, not just wealthy corporations or insurance companies, and someone who is strong enough to do what is right,” said Criss, who served as a prosecutor, criminal district attorney, and assistant district attorney in Galveston County from 1986 to 1997. The Internet fundraising effort, which is a growing and successful strategy in a growing number of major political campaigns, allows people from all walks of life to participate in campaigns from the comfort of their homes. Her goal is to raise enough money to purchase six weeks of TV advertising. Criss noted that the Texas Election Code limits individual contributions to $5,000. A law firm can give up to $5,000. 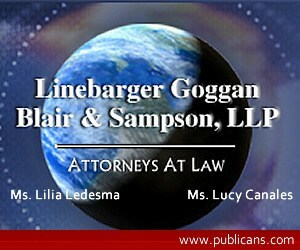 The maximum contribution for all members of a law firm, including the law firm itself, is $30,000. In addition to Johnson, two other spots – currently held by Republicans Wallace Jefferson of San Antonio, who was appointed by Perry, and Dale Wainwright of Houston, who was elected in 2002 – are up for election in the March 2008 party primaries and the November 2008 general election. Filing begins in early December and ends in early January for all candidates who will be seeking their party’s nomination in the March 4 primary elections. State law that could require the Edinburg school board to extend the length of their terms from three years to four years – or even allow them to change school board elections from May until November – were discussed Tuesday night, November 13, by the Edinburg school board behind closed doors. The law in question, and a subsequent legal opinion from the Texas Attorney General, could require Edinburg – and potentially dozens of other school districts – to take action by December 31 on those politically-charged issues, the school board’s legal counsel said. Those issues of extending the length of the trustees’ terms and/or moving the school board election from May to November were not posted on the school board’s agenda – either for deliberation in open session or behind closed doors, known as executive session. For the most part, the Texas Open Meetings Act requires governmental bodies such as the Edinburg school board to conduct their business in the open. However, that state law does have key exceptions, such as when personnel, land transactions, and legal actions are being discussed. But even in those cases, a governmental entity, after discussing them behind closed doors, would have to take any action in open session, such as voting on the issue. According to the Texas Attorney General, the Open Meetings Act, codified at chapter 551 of the Government Code, provides that meetings of governmental bodies must be open to the public except for expressly authorized executive sessions. The Act also provides that the public must be given notice of the time, place, and subject matter of meetings of governmental bodies. However, Jacques Treviño, the school district’s attorney, said Tuesday evening, prior to the 6 p.m. public session of the school board, that the issues of extending the trustees’ terms and/or moving the election from May to November were indeed properly posted. Citing Chapter 551.071 of the Texas Government Code, Treviño explained that the board agenda lists a scheduled update with school attorney. “Under the board agenda, I am allowed to talk to the board on matters of attorney-client privilege, so basically, this is an opportunity for me to discuss with the board, pretty much, legal issues that have arisen or come about,” Treviño said of the growing interest in the possibility – some believe inevitability – of major changes to school board terms and elections in dozens of school districts statewide. There was no specific mention of the school board elections or extending the school board trustees’ terms on the posted agenda, either in the open session or executive session portions of the agenda. But Treviño said such omission still met the letter of the law. Treviño said he was going to present different scenarios regarding extending the length of the school board trustees’ terms, and possible election cycles and their impact on board trustees during the closed door meeting. The next scheduled meeting of the school board is set for Tuesday, November 27, although they could meet in special session before then. State law would require the school district to post the agenda three days before the meeting. There is one more regular meeting of the school board set for early December. He said that his Tuesday, November 13 presentation behind closed doors was the first time he has taken the issues into executive session. So far, school board trustees have remained silent on the issues discussed behind closed doors, although a recent Attorney General’s Opinion stated that what goes on behind closed doors doesn’t necessarily have to stay behind closed doors. The Texas Open Meetings Act does not prohibit members of a governmental body or other persons in attendance at an executive session from making public statements about the subject matter of that session, according to the Texas Attorney General’s Office. However, there may be privacy laws or policy concerns which may prevent such persons from divulging the deliberations of a closed session. The two issues are stemming from Senate Bill 607, passed last spring in an attempt to address issues unique to the board of trustees of the Alief independent school district, located in the Houston region. But as is sometimes the case, the bill flew through the legislative process without any apparent concerns that it would affect possibly dozens of school districts statewide, including Edinburg. SB 670, by Sen. Rodney Ellis, D-Houston, and Rep. Hubert Vo, D-Houston, requires that by December 31, 2007, the board of trustees of an independent school district – such as Edinburg – in consultation with its attorney, can lengthen the term of office with the passage of a resolution. But that change could have far-reaching political consequences, raising concerns about which school board trustees will be the first to be impacted, and what type of selection process – even flipping a coin – would be used. Whether any public input is required – such as a public hearing or even an election on the issue itself – are among the thorny political questions administrators hope to answer in the coming weeks. By comparison, when the Edinburg city council, in the 1990s, wanted to change from a two-year term to its current three-year term, they had to take the plan before voters during an election. That city measure, promoted by Mayor Joe Ochoa, wound up being easily approved. Earlier this month, Edinburg superintendent Gilberto Garza, Jr., along with Mario Salinas, the school district’s Assistant Superintendent for District Administration – and who handles the district’s election process – acknowledged that the new state law is raising concern throughout Valley school districts. 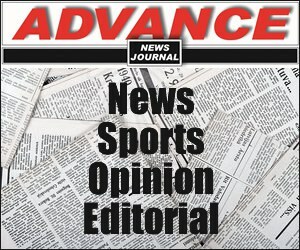 “This issue here, as far as the district administration is concerned, is that we are not looking to see what decision willbe favorable to one board member or another, we have to look at what is in the best interest of the voter in our community, and how we can comply with the law,” said Garza. On Tuesday, October 30, Garza, Salinas, school district attorney Treviño, and board members Robert Peña, Jr. and David Torres went to Austin to try to get answers to a difficult problem. They met with Elizabeth Hanshaw Winn, lead attorney with the Elections Division of the Texas Secreatry of State, trying to get a handle on what stands to be a political hot potato along many different levels. “We wanted to get an opinion from the Secretary of State on the mandates of the new law, because we need to know what options we have,” said Salinas. Such action also would require the U.S. Department of Justice to come into the process, making sure that any proposed changes do not discriminate on a number of different levels. It is also unclear what would happen if no action is taken by the local school board. House Bill 1, passed by the 79th Legislature, Third Called Session in 2006, mandated that school districts hold joint elections with a municipality, county, or the state. This would require 50 to 70 school districts to change from May to November elections, either because they are not part of a municipality with a May election, or because the district is not located in a municipality and therefore, will have to join with the county or state elections. The approved bill and subsequent changes came about because Alief ISD, located in part within the Houston city limits, currently holds elections each May, and about one-third of the trustees are elected to the school board each year for three-year terms. Because the district is required to change to a November election, trustees will be running for election in even-numbered presidential and non-presidential years and in odd-numbered Houston city election years. This would raise the costs of the elections for Alief ISD. SB 670 authorizes a school district’s board of trustees to adopt a resolution changing the length of the terms of its trustees not later than December 31, 2007, to address the rising costs of multiple elections and the confusion among voter precincts. (e) Authorizes the board of trustees of a school district to adopt a resolution changing the length of the terms of its trustees not later than December 31, 2007. Requires the resolution to provide for a term of either three or four years and to specify the manner in which the transition from the length of the former term to the modified term is made. Requires the transition to begin with the first regular election for trustees that occurs after January 1, 2008, and requires that a trustee who serves on that date serve the remainder of that term. Provides that this subsection expires January 1, 2013. 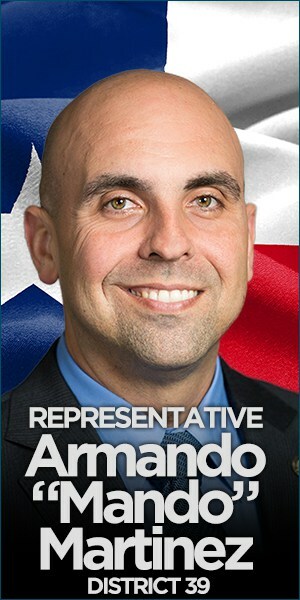 Rep. Aaron Peña, a veteran Democratic legislator who has come under fire for his role in helping keep a Republican as the powerful Speaker of the Texas House of Representatives, on Thursday, November 8, ignored that political attack, instead allowing local leaders to focus on the major laws and millions of dollars in state funding directly and indirectly brought by Peña to House District 40, which is anchored by Edinburg, his hometown. As for his own remarks, delivered before several hundred supporters at the ECHO in Edinburg, Peña praised the unprecedented socioeconomic progress that has occurred in his legislative district since his first term in January 2003, predicting that the best was yet to come. “This is a community that has a great future, a tremendous future, a future that is limitless, but we have to fight for what we believe in,” said Peña. But the trial lawyer expressed regret that the tone of the campaign, in which he is being challenged by Eddie Sáenz, a civil engineer who also calls Edinburg home, has taken on an increasingly bitter tone. “There are people who want to tear this community apart, there are people who want to change it into a place where we call each other names, where we hate each other,” Peña warned, although he never mentioned anyone by name. The two men are battling for the March 4 Democratic Party primary nomination to lead House District 40, which includes all but southwest Edinburg, La Joya and Sullivan City in western Hidalgo County, Edcouch, Elsa, La Villa, and San Carlos in eastern Hidalgo County, and northern Hidalgo County. The victor would be sworn into office in early January 2009, when the Texas Legislature returns to work in Austin. A state representative must run for reelection every two years. While Peña’s speech was designed to thank and rally his many supporters, the work of promoting and defending Peña was handled by notable area leaders, including Edinburg Mayor Pro Tem Alma Garza and Miguel Nevárez, the former and longtime president of the University of Texas-Pan American. “I know I don’t have to brag about Aaron and his accomplishments, and we all know how he got the $5 million for the RAHC (UT-Regional Academic Health Center), we got $40 million for the new (UTPA) Fine Arts Center, we got $26 million for the (UTPA) Students Wellness Center, so I am not going to brag,” Garza said, highlighting a few of the many achievements being credited to Peña. Nevárez challenged Sáenz’ claim that by voting for the reelection of Speaker of the House Tom Craddick, R-Midland, Peña betrayed the Democratic Party. For that support, Peña and about a dozen other House Democrats have been unflatteringly dubbed “Craddick Ds” by Democratic Party loyalists. Sáenz has promised, if he is elected, to vote for a Democrat for Speaker of the House when lawmakers return to Austin in January 2009. The Speaker of the House has the power of life and death over all major legislation, and decides which of the 149 other House members are appointed to the most powerful legislative committees, including the coveted chairmanships. Currently, there are two Democrats who have filed paperwork to run against Craddick for Speaker of the House: Rep. Senfronia Thompson, D-Houston, the Dean of the House of Representatives, and Rep. Sylvester Turner, D-Houston, the Speaker Pro-Tempore. Turner is Craddick’s former right-hand man. Nevárez, considered an expert in the legislative process as a result of his many years of lobbying state lawmakers on behalf of UT-Pan American, said Peña’s willingness to work with the Republican leadership was necessary in order to promote House District 40. In spite of the ideological differences between Democrats and Republicans, Nevárez said Peña did the right thing by setting aside partisan politics, and as a result, was rewarded with powerful House committee appointments, including a chairmanship, which translates into legislative victories for the people back home. In keeping with his theme to run a clean campaign, Peña delivered an upbeat speech, portraying House District 40 as continue to undergo a transformation that would have been considered impossible by area residents less than two generations ago. Peña, who was born in Austin but grew up in Edinburg, reminded voters from the key Delta Area portion of his district of his deep roots in those communities. In his campaign literature, provided to supporters, Peña lays claim to major legislation that benefit his district. Notables at the event, which was free and open to the public, included Edinburg leaders such as former Mayor Richard García, Mayor Pro Tem Alma Garza, and Councilmembers Noe Garza (no relation to Alma), Gene Espinoza, and Gus García, Jr. (no relation to the former mayor). Three area legislators — Rep. Verónica Gonzáles, D-McAllen, Rep. Armando “Mando” Martínez, D-Weslaco, and Rep. Ryan Guillen, D-Rio Grande City – also attended the Peña function. Gonzáles, whose House District 41 includes southwest Edinburg, is facing a challenge from fellow McAllen attorney Javier Villalobos, who is seeking the March 4 Republican Party nomination for state representative. Also, Hidalgo County District Attorney René Guerra, Dori Contreras Garza, a justice on the 13th Court of Appeals, Carmen González, president of the Edinburg school board, Ricardo Rodríguez, Jr., a former Edinburg City Council member and judge of the Hidalgo County 92nd District Court, and Edinburg Municipal Court Judge Toribio “Terry” Palacios, who is Rodríguez’ uncle and is a law partner with former mayor García, were at Peña’s campaign kick-off celebration. 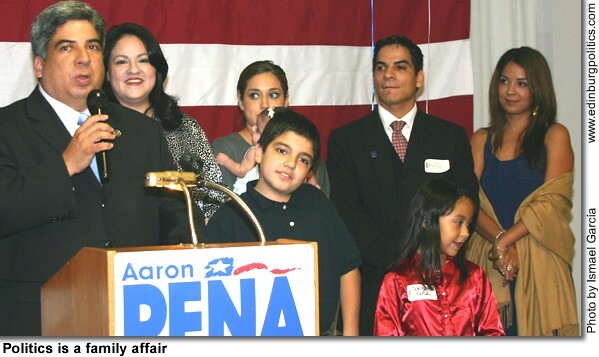 My name is Aaron Peña and I’m running for state representative. I am so happy to see everybody here tonight. I see faces here that I remember from childhood. Let me tell you a little story – one time, Alma Garza, your mayor-pro tem here in Edinburg, tied me to a tree. And she left me there for at least two or three hours! Alma, I want to thank you very much, not for leaving me there, but for teaching me a lesson. 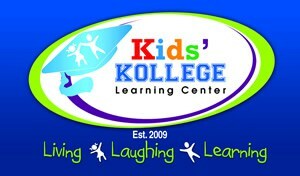 We have a tremendous community, great families, great friends, we have a great future. Frank Guajardo, let’s give him a round of applause. Let me tell you about Frank, he is very humble. People Magazine – is that right, Frank? – there in the Delta Area, where my father and grandfather are from, you have read a lot about us in recent days. We are very proud of the fact that we turn out more, per capita, Ivy League students than any other place in the Valley and in the country, and a lot of those kids give credit to Frank Guajardo. Dr. Nevárez, I want to thank you for everything you have done over the years. Pan American would not be where it is today if it wasn’t for Dr. Nevárez, who let’s give him a round of applause. Verónica Gonzáles was here, or is here – let me give a plug for Verónica – because Verónica is my colleague, but more importantly, she is my friend. I mean that from the heart. This is a woman that you and this community can be proud of. She is smart. She is tough – tough as nails. I remember one time she and I had disagreed on a subject in private, and boy, I felt like she was my grandmother taking me out for a whooping. There is a tough lady who fought tooth and nail for you, and I know you will send her to the Capitol where she belongs. To our veterans, Félix Rodríguez, and all the other veterans in the audience, I want to thank you very much for your service. This weekend, we will honor you, but every day we honor you for the wonderful life that we have here in this community. Let’s give them a round of applause. I want to again thank you very much for coming out today. I know you don’t have to, but it is important to all of us. For those of us who remember what this community was like not long ago, for those us especially who are over 40, we remember this as a pretty small town, where we all knew each other, right? There was no air conditioning. Not even cable TV. I tell my kids here, and they say, “Dad, really, there was no cell phone? There was really no i-Pod?” I tell them all we did was sit and talk. But we all knew each other. We would sit and talk and would love each other, and we took care of each other. And that is the place where we come from. That is the place that we have to fight for, because there are people who want to tear this community apart, there are people who want to change it into a place where we call each other names, where we hate each other. This is a community that has a great future, a tremendous future, a future where these kids, a future that is tremendous and limitless, but we have to fight for what we believe in. You presence here means a lot to me and it means a lot to that cause, so let’s give all of us a round of applause for being here. Let me tell you a little story about my family, because it is a story about our people, not about my family. A long time ago, we were talking about the Salinas family – Armando and Panchita Salinas – Panchita died, and we are going to bury her on Saturday. I want to talk about my father over here. See, a long time ago, Armando Salinas had an idea, and that idea was, to my grandfather, Baltazar Peña, come over here, we have work in the Valley. And he came over from Mexico because his friend, Armando Salinas and Mrs. Salinas, were friends, and they found work at Ingleman Gardens. But it was honest work. This is a sort of story that each of you has in your family, because it is true for our people, something that we can be very proud of. When they came over here, they found honest work. My grandfather had a second-grade education. But he believed in his kids, he believed in this country, and I am very proud of the fact that my father is here, and my mother. My father is a product of those dreams, who went on to become one of the first Hispanic lawyers in state of Texas. My grandfather would never imagine what has happened to this community. Who would have imagined that we would move so quickly to have the sort of growth that we have here? That was done because of the dreams that they had, the dreams of a better future, the dreams of educating our kids. So, that has always been my commitment, as it is yours, that we invest in our kids by having (inaudible) schools, and that is why we gave teachers a pay raise in the last two sessions, and I am very proud that I carried that bill. I know that we have retired teachers here today because I met with them earlier today – the Edinburg Retired Teachers Association – they were very proud to get an extra check next January – and we are going to work hard to make that permanent in the next legislative session. We go over all of these – the things that have been accomplished through the hard work of Verónica, and Armando, and Ryan, and Kino – and the legislators up and down the river, we work together because all of us believe in the same thing: that we take care of our people. There is one thing that can stop those dreams, that can put a halt or slow down those dreams. I said I would only do something if you vote for it. So, for the first time, they came together, not as adversaries, but as friends, in one common cause: let’s put an end to the corruption in our community. So I make this a pledge, next session, I am going to work really hard so that we provide honest and decent government for all our kids, for all our people. No longer will have a tax on the polls. No longer will this hidden tax come and affect us. We will work together to better our communities. I hope you stand with me in this effort. I don’t know what else to say. Let me just say, we are going to win this election. In the beginning when I first ran for office, somebody ran against me, and I said, “Why? Why is someone running against me? They aren’t paying me very much.” But this is the democracy that we live in. It is important that we rise to the challenge when someone challenges us. I am proud of what I have done, and I will stand forward, with you, in standing for what we have done for this community. I am very proud of all the things we did at our university. I am very proud of what we did for teachers, for retired teachers, what we did to protect our kids from child predators, what we did to build up our university, what we have done in countless projects across the district. Our future is limitless and as long as we work together, and I hope you join me in that effort. As long as you are there, I will continue fighting for you. Are you all ready to win this election? Everybody needs to get out and vote. God bless Edinburg, the Delta Area, the Valley, everyone. Democratic House challenger Eddie Sáenz is calling on his opponent, Rep. Aaron Peña, D-Edinburg, whose political career is bankrolled by Austin special interests, to explain to South Texas families whether he is working for them or for a political action committee with intimate ties to Republican politicians at the State Capitol. Sáenz said that Peña’s silence on the controversy over the National Football League’s effort to charge costly subscription rates for access to televised games raises new questions about his misplaced loyalties. Sáenz has called on the NFL to drop plans to charge exclusive subscription prices for TV viewers to see key games. He pledged to introduce legislation if elected to protect consumers and guarantee fair and competitive use of the public airwaves. Football fans in South Texas will be blocked from watching the Dallas Cowboy-Green Bay Packer game in late November as well as December contests featuring the Cowboys and the Houston Texans under the NFL plan. Sáenz said more than 118,000 households in South Texas depend on antennae and other older technology for TV reception. These families would be unable to watch the games, even if they could afford the subscription costs. “The NFL advertises football as America’s Game, but it is treating whole communities in South Texas like the Third World,” Sáenz said. Sáenz said guaranteeing fairness and competition in the television market, which uses airwaves owned by taxpayers, is a legitimate role for state government. His opponent has accepted more than $8,000 this year from HillCo PAC, a political action committee in Austin that receives 87 percent of its money from Houston builder Bob Perry. Perry is the Texas Republican Party’s principal donor and provided most of the funding for the smear campaign by Swift Boat Veterans for Peace against Democratic presidential nominee John Kerry in 2004. Owner and chief executive officer of one of South Texas’ leading civil engineering firms and chairman of an advisory board to the South Texas Hospital System. Sen. Juan “Chuy” Hinojosa, D-McAllen, was awarded a Presidential Citation award from the Texas Animal Control Association on Tuesday, November 13, for his animal welfare legislation. Hinojosa passed Senate Bill 1562 during the 80th session, which requires certification and education for animal control officers and animal shelters across the state. Rep. Phil King, R-Weatherford, was the House sponsor. Jay Sabatucci, President of the Texas Animal Control Association, said the legislation would create a new age of professionalism for animal control officers. The Texas Animal Control Association is the oldest and largest animal control association in the nation. Supporters of Hinojosa’s measure noted that animal control training currently is not required by the state of Texas, and SB 1562 would establish needed training requirements. No incentive exists for an individual employed in animal control to attend voluntary training. Some people engaged in animal control are unfamiliar with state and federal laws and have been known to mistreat animals and illegally carry drugs. Such problems would be reduced by mandating officer training, as stipulated in the bill. Moreover, the establishment of animal control officer training would reduce local governments’ liability with respect to animal control problems. In order to comply with current laws, animal control officers need to know what exactly the law entails. Such officers must be educated on how to deal with the public, prepare charges, and testify in court. Training for animal control officers is affordable and would ensure that officers were well prepared to deal with issues of concern. Hidalgo County Treasurer Norma G. García, whose job includes protecting the accuracy and safety of almost $150 million a year in tax funds used to operate one of the state’s largest county governments, has been named Texas County Treasurer of 2007 by the County Treasurers Association of Texas. García, who has served as county treasurer since 1994, competed against an outstanding field of four other candidates, all whom were nominated last spring by their colleagues from 12 regional divisions. In mid-October, at the CTAT’s fall conference, García was named best in her professional field in an election in which all county treasurers cast their ballots. County Treasurer Helen Singleton was the last one from Hidalgo County to receive the prestigious honor, which she earned in 1971. García shared credit with her “outstanding staff” as well as with the Hidalgo County judge and commissioners court, as well as the county’s department directors, for the honor. The Texas Constitution established a strong system of checks and balances by creating independent elective offices in each county, explained García, whose professional career includes legislative work on behalf of constituents before the Texas Legislature. The county treasurer is the county’s banker, the chief custodian of county finance, and most importantly, “an independent financial watchdog of the county’s finances,” García said. •Pay and apply or disburse all monies in such a manner as commissioners court may direct, by law. As county treasurer, García also is designated by the commissioners court to implement the investment strategy for the county as per the county investment policy, she added. The Investment Review Committee is made up of the county judge, the county treasurer and the county auditor. García said people are more familiar with their local city and school governments, and often don’t realize just how much the county government affects their everyday lives. “The major responsibilities of county government include building and maintaining roads, recreational facilities, and in some cases, county airports. Also, the county government is responsible for constructing and operating jails, operating the judicial system, maintaining public records, collecting property taxes, issuing vehicle registration and transfers, and registering voters,” she said. •She was not a newcomer to the political arena in Hidalgo County, having served as the first woman mayor of the City of Mercedes from 1986 through 1993. She has served on numerous boards and organizations throughout the years, too numerous to name them all. •García has served two terms as President of the Lower Rio Grande Valley Development Council (Council of Governments), once in 1992 and again in 2002, and became President for the third time again in May, 2007. The COG consists of Hidalgo County, Cameron County, and Willacy County and represents a population of slightly over 1.6 million and has 27 board members. •She served on the executive board of the County Treasurers’ Association for five years in various capacities. She was also CTAT Region 8 Director (consisting of 8 counties) before becoming an officer. She hosted the CTAT Annual Conference in 2002 and is scheduled to host it again in September 2008. •One of things she takes great pride in is the fact that in September 2003 she was able to acquire the Payroll Department which had been under the auspices of the County Auditor’s office since the late 1950’s. She also implemented Direct Deposit in her county and has also implemented a Biometric Time and Attendance Program in Hidalgo County which has approximately 2,700 employees. •In her other life (before politics, that is) García was a Child Support Officer for the Attorney General’s Office; a realtor for several years; an assistant director at a vocational school; supervising interviewer for the Texas Employment Commission for eight years; and legislative assistant to Senator Juan J. Hinojosa when he was state representative during the 70th session. •García was born in Donna, Texas; graduated from Donna High School in 1968; attended San Antonio Community College in San Antonio, Texas, and Pan American College (now the University of Texas-Pan American) in Edinburg. •She acquired a license in real estate in 1984 from the College of Real Estate which is sponsored by the Texas Association of Realtors. •She claims to have a PhD from the “University of Hard Knocks,” which is where she attributes learning life’s most valuable lessons. •García has three children: Martha Ann García, 34; Lucas Aaron García, 25; and Jorge Antonio “Jay” García, 24. She has two grandchildren, Lorena Celeste Carrillo, 7, and Julio Andres Carrillo, 4. Martha is a Marketing Director for a speech pathologist in McAllen. Lucas is a graduate from Texas A&M – College Station (now working on his Masters Degree), and Jay is a firefighter with the City of McAllen. •García belongs to the St. Joseph’s Catholic Church in Donna, Texas and she enjoys cooking, decorating cakes, reading, and her passion is politics. Hidalgo County is one of hundreds of areas that are set to benefit from Thursday, November 8’s historic passage of the Water Resources Development Act, said Hidalgo County Judge J.D. Salinas, III. Congress demonstrated bipartisan support for WRDA and for the first time since President George Bush took office, Congress overrode a presidential veto in order to pass it. The U.S. House of Representatives voted 361-54 (with 17 non-voting) and the U.S. Senate voted 79-14 (with 7 non-voting) to champion more than $23 billion in projects across the country for flood control, beach erosion, navigation and environmental restoration. The Hidalgo County Commissioners’ Court is pleased with the bill’s passage and only hopes that appropriation of money follows this authorization. 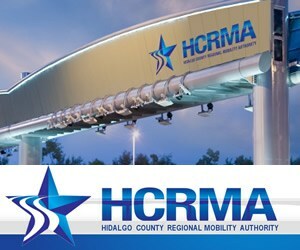 “The passage of WRDA, a vital infrastructure bill, has a monumental impact in Hidalgo County. The Raymondville Drain will increase the capacity of our outdated, agricultural drainage system, which could save lives and property in the event of a natural disaster,” said Salinas. For Hidalgo County, the successful passage of WRDA marks the culmination of seven years of coordination efforts with federal officials in Washington, D.C. to achieve federal support for one of the county’s most critical flood control systems — the Raymondville Drain. The drain, which is still in the development phase, would take some of the stress off the existing North Main Drain, which funnels most the water in Hidalgo County east toward the Laguna Madre. The Raymondville Drain would be able to handle a 25-year flood event. It would run through Willacy County. The bill officially amends the authorization of the Raymondville Drain Outfall Project as part of the Lower Rio Grande Basin and allows the Hidalgo County Drainage District No. 1 (HCDD 1) to enhance flood protection for areas in northern and eastern Hidalgo County. The legislation also directs the Secretary of the U.S. Army Corps of Engineers to count drain studies HCDD 1 has already completed toward the non-federal match for the project, and it changes the construction cost-share formula to reduce the non-federal match HCDD 1 is expected to pay from 35 percent to 10 percent. With a current price tag on the Raymondville Drain of $215 million, this cost-share adjustment will save Hidalgo County over $53 million toward the construction of the project. “Hidalgo County is going to now be able to redirect some of the Raymondville Drain funds to other critical infrastructure needs, maximizing flood protection in more areas of the county,” said Godfrey Garza, HCDD 1 director. Also relevant to Hidalgo County in this bill is the creation of the National Levee Safety Program, authorized at $20 million per year for the next six years. This bill requires the Army Corps to inspect all federally constructed levees across the country, whether federally or locally managed, and create a public database detailing what kind of shape the levees are in. Edinburg’s retail economy in September, as measured by the amount of local and state sales taxes generated by a wide range of local businesses, was up more than 16 percent over the same month period in 2006, the Edinburg Economic Development Corporation has announced. Year-to-date, Edinburg’s retail economy during the first nine months was up almost 11 percent over the same period last year. It’s five-member governing board, which is appointed by the Edinburg City Council, includes Mayor Joe Ochoa, former Mayor Richard García, who serves as board president, Fred Palacios, Dr. Glenn E. Martínez, Ph.D., and Elias Longoria, Jr.
in October, then sent back by the comptroller’s office to the Edinburg city government in the form of a rebate on November 9. The local sales taxes are generated by the city’s 1 1/2 cent local sales tax and the 1/2 cent economic development sales tax that is administered by the EEDC. 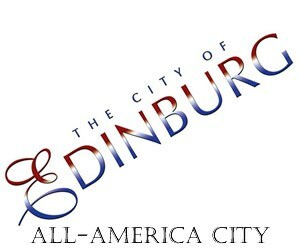 Between January and September 2007, Edinburg’s economy generated $12,412,768.50 in local sales taxes, compared with $11,184,849.10 during the same nine-month period last year, an improvement of 10.97 percent. For the month of September, Edinburg’s economy generated $1,272,468.02 in local sales taxes, compared with $1,093,824.40 in local sales taxes in September 2006, an improvement of 16.33 percent. 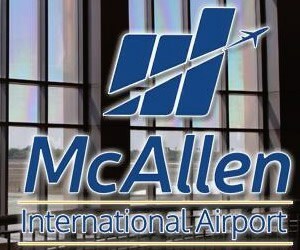 Between January and September, McAllen posted a 6.92 percent improvement, generating more than $53.2 million in local sales taxes, compared with more than $49.7 million during the first nine months of 2006. McAllen’s economy generated more than $5 million in local sales taxes in September, compared with more than $4.7 million during the same month last year, an increase of 7.51 percent. According to the comptroller’s office, Hidalgo County also showed continued prosperity. In September 2007, all cities in Hidalgo County generated more than $10.3 million in local sales taxes, up 7.36 percent over September 2006, which reached more than $9.6 million. From January through September 2007, all cities in Hidalgo County generated more than $111 million in local sales taxes, up 10.18 percent over the $100.7 million mark set during the same period in 2006. Neighboring Cameron County registered smaller economic growth, according to the state figures. In September, all cities in Cameron County generated more than $5.2 million in local sales taxes, compared with slightly more than $5 million during the same month in 2006, an increase of 4.55 percent. Between January and September 2007, all cities in Cameron County almost $56 million in local sales taxes, a 4.13 percent improvement over the same period in 2006, which resulted in more than $53.7 million in local sales taxes. •Brownsville’s retail economy generated more than $2.7 million in local sales taxes in September 2007 – 4.6 percent better than the September 2006 level of more than $2.6 million. 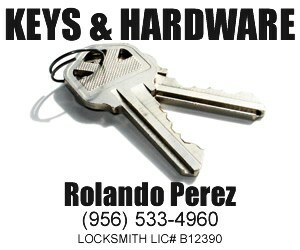 •Harlingen’s retail economy generated more than $1.6 million in local sales taxes in September 2007, compared with almost $1.6 million in August 2006, a decrease of .99 percent. •Mission’s retail economy generated more than $1 million in local sales taxes in September 2007, compared with more than $951,000 in September 2006, an increase of more than 11 percent. •Pharr’s retail economy generated almost $891,000 in local sales tax activities in September 2007, compared with more than $943,000 during the same month in 2006, a decrease of more than 5.5 percent. •Weslaco’s retail economy generated almost than $670,000 in local sales tax activities in September 2007, compared with slightly more than $661,000 in September 2006, an increase of slightly more than 1.4 percent. Statewide, Texas Comptroller Susan Combs said sales tax collections also continued to rise. The state collected $1.65 billion in sales tax revenue in October, up 3.1 percent compared to October 2006. October state sales tax collections and November sales tax allocations to local governments represent September sales reported to the Comptroller in October by monthly tax filers and July, August and September sales reported to the Comptroller in October by quarterly tax filers. On Friday, November 9, Combs distributed $525.3 million in November sales tax rebates to cities, counties, transit systems and special purpose taxing districts. Local sales tax allocations are up 4 percent compared to November 2006. Combs sent Texas cities $359.4 million in sales tax allocations, up 3 percent compared to November 2006. So far this calendar year, city sales tax allocations are up 6.6 percent compared to the same time period last year. Texas counties received November sales tax allocations of $30.4 million, up 6.4 percent compared to one year ago. For the calendar year–to–date, county sales tax allocations are running 8.2 percent ahead of 2006. The 122 special purpose taxing districts around the state received $16.6 million in sales tax, up 14.8 percent compared to last November. Ten local transit systems received $118.9 million in November sales tax rebates, up 4.9 percent compared to a year ago. 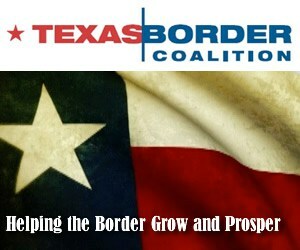 Reports on the Comptroller’s Web site at http://www.window.state.tx.us/taxinfo/allocsum/compsum.html. The Comptroller’s next local sales tax allocation will be made on Friday, December 14. The University of Texas System Board of Regents on Friday, November 9, unanimously elected new officers at its board meeting held in Austin. H. Scott Caven, Jr., of Houston has been named the new chairman of the UT System Board of Regents and succeeds James R. Huffines of Austin, who served as chairman for more than three years. Huffines and Regent Robert B. Rowling of Dallas were each named vice chairman of the board. Caven has served as a vice chairman of the board since August and currently serves as chairman of the Board of Director of The University of Texas Investment Management Co. (UTIMCO). He was appointed to the Board of Regents by Gov. Rick Perry in 2003. Established by the Texas Constitution in 1876, the Board of Regents is composed of nine members who are appointed by the Governor and confirmed by the Senate. Terms for Regents are scheduled for six years each and staggered so that three members’ terms will usually expire on February 1 of odd-numbered years. In addition, the Governor appoints a Student Regent for a one-year term that expires on May 31 of each year. 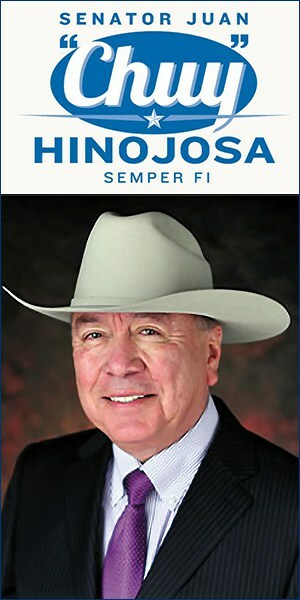 Congressman Rubén Hinojosa, D-Mercedes, on Thursday, November 8, announced that he has secured critical appropriations that would give South Texas an $815,000 boost in federal funding. University of Texas-Pan American and the Vannie Cook, Jr. Cancer Pediatric Clinic are set to gain under the appropriations bill approved Tuesday night by the House of Representatives. The Valley Baptist System in Harlingen is also a recipient of federal funding for its Hispanic Stroke Center of Excellence. UTPA’s South Texas Border Health Disparities Center would receive $320,000 to implement an obesity prevention campaign targeting Hispanic and African American families. The Project would be conducted in South Texas and Tennessee in collaboration with Tennessee State University. A research component would also focus on addressing chronic conditions related to diabetes. The Hematology/Oncology Education and Research and Clinical Care project at the Vannie Cook Cancer Pediatric Clinic would also receive $320,000 in funding under the bill passed Tuesday. The money would be used to expand the pediatric center’s epidemiology research as well as staff and patient outreach programs. The Clinic is the only comprehensive pediatric cancer facility in the Rio Grande valley and serves primarily indigent Hispanic population. The Valley Baptist Health System will receive $175,000 for its Hispanic Stroke Care Center to buy new equipment. The three projects are included in a spending bill that funds myriad programs including veterans health care, education, health care, and medical research. The bill now goes to the President’s desk. Rep. Verónica Gonzáles, D-McAllen, is joining The Recycling Alliance of Texas to raise awareness for Texas Recycles Day on Thursday, November 15. The national recycling day’s theme, “It All Comes Back to You,” emphasizes the economic and environmental benefits of recycling. The education campaign aims to motivate Valley families to practice the 4R’s – Reduce, Reuse, Recycle & Rebuy. During McAllen Recycles Week, being held from Wednesday, November 14 through Friday, November 16, The McAllen Recycling Center is hosting presentations geared to promote recycling habits and education among children from November 14 – 16. Presentations and exhibits will be geared to different age groups. Events include a “Recycle Challenge” to teach students what items are recyclable in McAllen and will include a tour of the Recycling Center to see recycling operations. Texas Recycles Day is being held in conjunction with the national America Recycles Day. The statewide program is supported by IESI and Keep Texas Beautiful. To learn more about recycling in Texas, visit the McAllen Recycling Center or call, 681-4050 for more information. For more information on recycling and sustainability, check out the Recycling Calculator at http://www.getrecycling.org to see how a little effort makes recycling “all come back to you”. Gov. Rick Perry on Monday, November 12, appointed eleven, including Katherine Ann de la Peña of Edinburg, to the Early Childhood Intervention Advisory Committee of the Department of Assistive and Rehabilitative Services. The state department serves Texas families who have infants and toddlers with disabilities or developmental delays. De la Peña is the director of the Early Childhood Intervention Program at Region One Education Service Center. She is president of the American Association for Home-Based Early Interventionists and a member of the National Association for Education of Young Children. She received a bachelor’s degree from Augustana College, master’s degree from Lewis and Clark College, and a doctoral degree from the University of Texas-Pan American. Her term, which is subject to Senate confirmation, runs through February 1, 2013. •Rep. Myra Crownover of Denton She is also co-owner of Robinson Drilling Company and director of Northstar Bank. Her term expires February 1, 2013. •Katrina Daniel of Austin is a special policy advisor for the Texas Department of Insurance. Her term expires February 1, 2013. •Peter W. Ellis of San Antonio is a partner with R.K. Ellis and Associates, a commercial real estate brokerage and consulting firm. He is being reappointed to the board. His term expires February 1, 2013. •Beth Engelking of Austin is the Child Protective Services (CPS) Support Director within the Texas Department of Family and Protective Services. Her term expires February 1, 2013. •Dottie Goodman of Austin is a policy specialist in the IDEA Coordination Division of the Texas Education Agency, and has more than 30 years experience as a teacher and administrator in Texas public schools. Her term expires February 1, 2011. •Diane Turner Kazlow of Plano is the early childhood intervention program director of Lifepath Systems, serving Rockwall, Kaufman and Collin counties. Her term expires February 1, 2009. •Alba A. Ortíz of Austin is a professor in the Department of Special Education and director of the Office of Bilingual Education at the University of Texas at Austin. 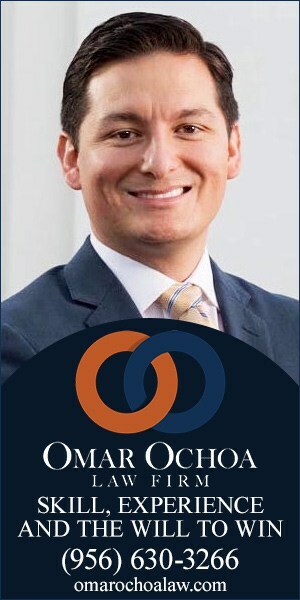 Ortíz is being reappointed to the board. Her term expires February 1, 2009. 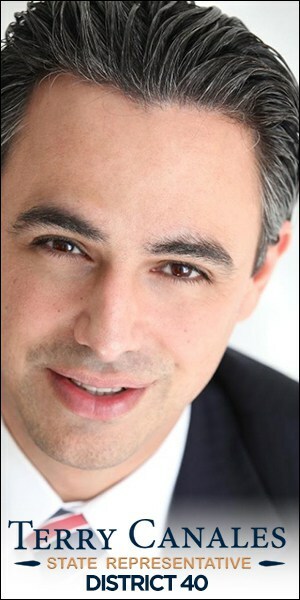 •Harvey Salinas of Corpus Christi is a career consultant for Worksource. His term expires February 1, 2013. •Michelle J. Smith of Justin is a member of the Star-Spangled Association and the Texas State Parent Teacher Association. She is being reappointed to the board. Her term expires Feb. 1, 2013. •Lynn Sullivan of Fort Worth is an educational consultant for Preschool Programs for Children with Disabilities at the Education Service Center Region XI. She is being reappointed to the board. Her term expires February 1, 2013. A Hidalgo County jury on Tuesday, November 6, sentenced licensed professional counselor Sigifredo Flores, 52, of Progreso Lakes, to 27 years in prison for sexually assaulting patients in his care. 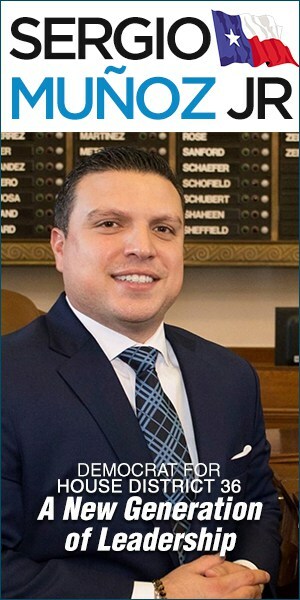 An investigation by Texas Attorney General Greg Abbott’s Medicaid Fraud Control Unit (MFCU) revealed that Flores sexually abused two children and two adults during counseling sessions. Flores was convicted on 11 counts of sexual assault and two counts of sexual contact, all second-degree felonies. He also was fined $125,000. The Hidalgo County District Attorney’s Office prosecuted Flores based on evidence uncovered by the MFCU. The Texas Department of Family and Protective Services referred the case to the MFCU in June 2005 after allegations surfaced indicating that Flores was sexually abusing patients. During witness interviews, MFCU investigators, along with the Texas Health and Human Services Commission (HHSC) and the HHSC Office of Inspector General, learned that Flores had sexually assaulted two adults and two children who depended on him for mental health care. MFCU investigators arrested Flores in August 2006. In December 2006, a Hidalgo County grand jury returned multiple indictments against Flores, including one count of theft over $20,000, a second-degree felony for which Flores will stand trial at a later date. According to MFCU investigators, Flores fraudulently billed Medicaid from June 2004 to June 2005 for one-hour individual counseling sessions. Investigators allege that Flores’ sessions lasted only 15 minutes and often included three or four patients at a time. In 2005 alone, the costs of the Medicaid program in Texas totaled more than $17 billion. As the state’s chief law enforcement official, Attorney General Abbott has dramatically expanded the Medicaid Fraud Control Unit (MFCU) to save more taxpayer dollars and increase protection for Texas seniors. The Unit has established field offices in Corpus Christi, Dallas, El Paso, Houston, Lubbock, McAllen, San Antonio and Tyler through authorization and funding from the 77th Texas Legislature. Attorney General Abbott’s MFCU works with federal, state and local agencies to identify and prosecute those who defraud Medicaid. The MFCU was honored in 2004 by the U.S. Department of Health and Human Services with the Inspector General’s State Fraud Award for effectiveness and efficiency during federal fiscal year 2003 in combating fraud, patient abuse and neglect in the Medicaid program. The Association of Rural Communities in Texas (ARCIT) recently presented Sen. Eddie Lucio, Jr. with their esteemed Texas Senate Rural Partner of the Year Award for his outstanding work during the regular legislative session in developing meaningful legislation to aid rural communities. ARCIT is a statewide association that represents over 300 rural cities, counties, utility districts and economic development corporations. The honor was presented on Tuesday, October 30. Most notably, he authored Senate Bill 1485, which advocated for rural communities through establishing a rural development fund. While the bill sailed through the Senate, it ran out of time in the House and did not pass. The intent of SB 1485 was to establish the Texas Rural Development Fund to enhance the state’s current rural-focused activities by using best practices and targeted activities, as well as to provide a coordinated approach to addressing the key areas of rural development. “We are very thankful that Sen. Lucio authored SB 1485 in the Senate to promote the need for a rural development fund that would not only help his district, but help rural communities statewide. We are grateful for the senator’s bold, visionary leadership,” said ARCIT Board President and Hughes Springs City Manager George Fite. U.S. Senator Kay Bailey Hutchison, R-Texas, a member of the Transportation, Housing and Urban Development (THUD) Appropriations subcommittee, on Thursday, November 8, joined with five members of the Texas Congressional delegation to overcome opposition which threatened an amendment to ban the tolling of interstate highways in Texas. Their collective efforts resulted in the amendment remaining part of the Fiscal Year (FY) 2008 THUD Appropriations bill, which tonight was reported out of conference. The conference report is expected to pass both houses of Congress. On September 12, the Senate passed the Hutchison amendment that protects Texas taxpayers by placing a one-year moratorium on tolling existing federal highways in Texas. Sen. John Cornyn, R–Texas, cosponsored Hutchison’s stand-alone bill. Efforts to toll newly constructed lanes or new highways would not be prohibited in Hutchison’s amendment that passed the Senate, or in S. 2019 or H.R. 3510. In February the Texas Department of Transportation released their legislative agenda in a report called “Forward Momentum,” which seeks changes in federal law that would allow such buybacks for the purpose of tolling interstate highways.